Pretty Headband with White Daisies - perfect to complete any hippie look! A delightfully pretty white Daisy Headband perfect for any summertime theme. 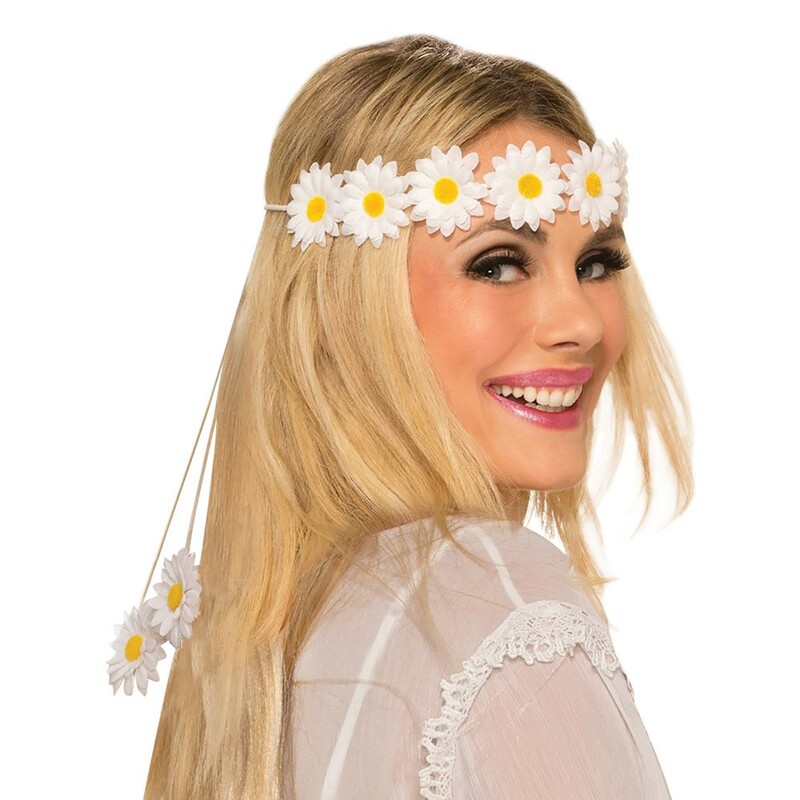 This lovely Daisy Headband is ideal for 60’s, 70’s or maybe just to wear to a festival. This simple design Daisy Headband is sure to put the finishing touch to many costumes.